“As time changes, the story has to change,” reflected photographer Tim Walker today. He was addressing a room full of journalists who were gathered in New York City for the launch of the 2018 Pirelli calendar – a trippy, fantastical reimagining of Alice in Wonderland, with an incredible ensemble cast bringing the story to life. The major difference from all past adaptations of the tale? Everyone shot for the calendar was black. The hypnotisingly beautiful model Duckie Thot was chosen for the lead role, joined on her journey by famous faces including RuPaul (the Queen of Hearts, naturally) Naomi Campbell and Sean Diddy Combs (the Royal Beheaders), and Whoopi Goldberg (the Royal Duchess). In costumes styled by British Vogue’s new editor-in-chief Edward Enninful, and with sets by Shona Heath, the resulting images take a beautiful trip down the rabbit hole. In one, Slick Woods (the Mad Hatter) puts on a tea party for Lupita N’yongo (the Dormouse), Sasha Lane (the Mad March Hare) and Duckie’s Alice, while models King Owusu, Alpha Dia and Wilson Oryema appear as playing cards, painting a rosebush that hangs from the ceiling. Not red, though, as in the original story – they’re busy painting it black. The white rabbit, too, gets a makeover. 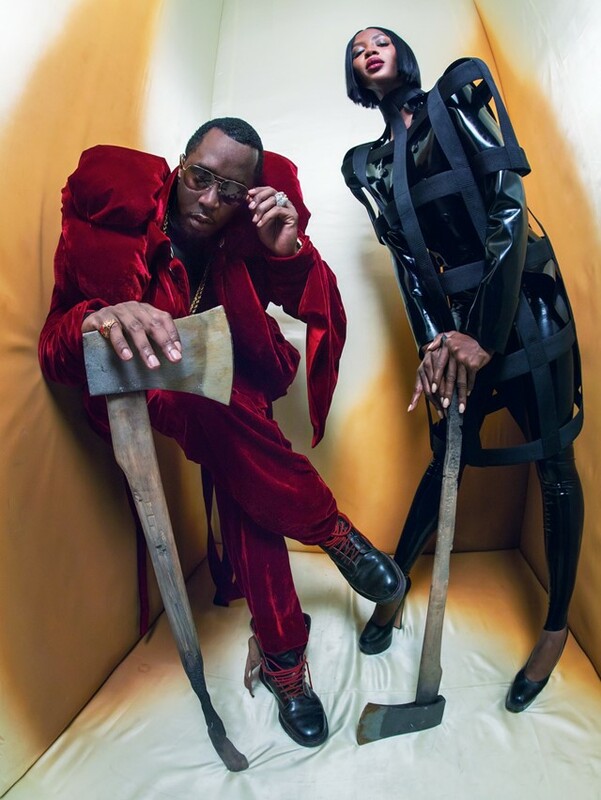 The calendar was called a “celebration of black beauty” by Walker, who’s known for his elaborate and surreal photoshoots – where glass elevators may crash down in the middle of a field, or models take on characters from a deck of tarot cards. 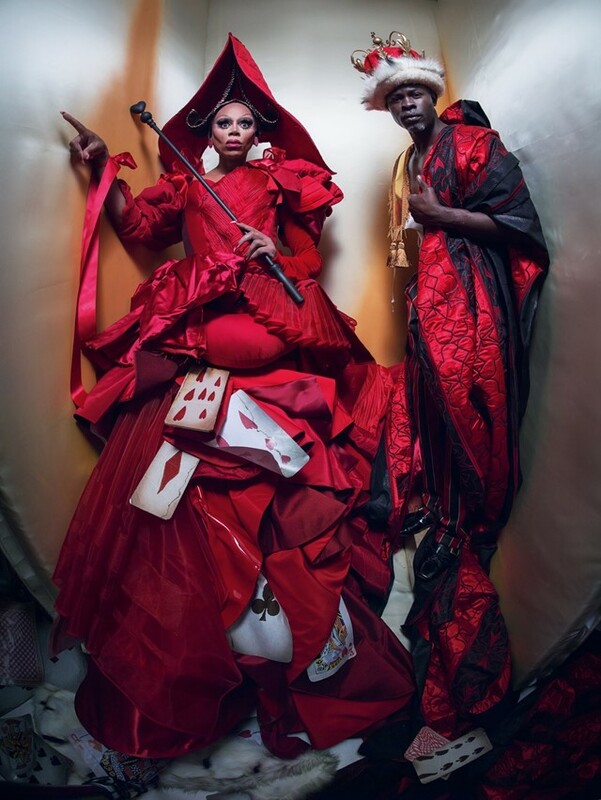 Recommended for the job by the late Franca Sozzani – who worked with Enninful on the all black models edition of Vogue Italia – the idea of a race-bent Alice in Wonderland was one he’d been playing with for a while. The opportunity presented itself, and the time was right.